This dazzling bracelet is very remindful of the Art Deco period (1908-1935). 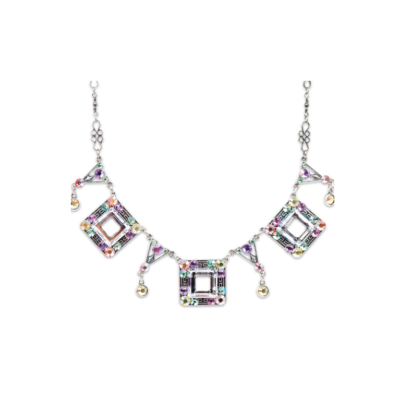 The fabulous six Crystal Swarovski Square Rings in the center of each of the square stations gives this bracelet light and adds to the Deco look, along with the engraved patterns in the oxidized sterling silver plated stations. There are a total of 65 handset crystals in this piece in Citrine AB, Sun AB, Peridot AB and Vitrail Light. 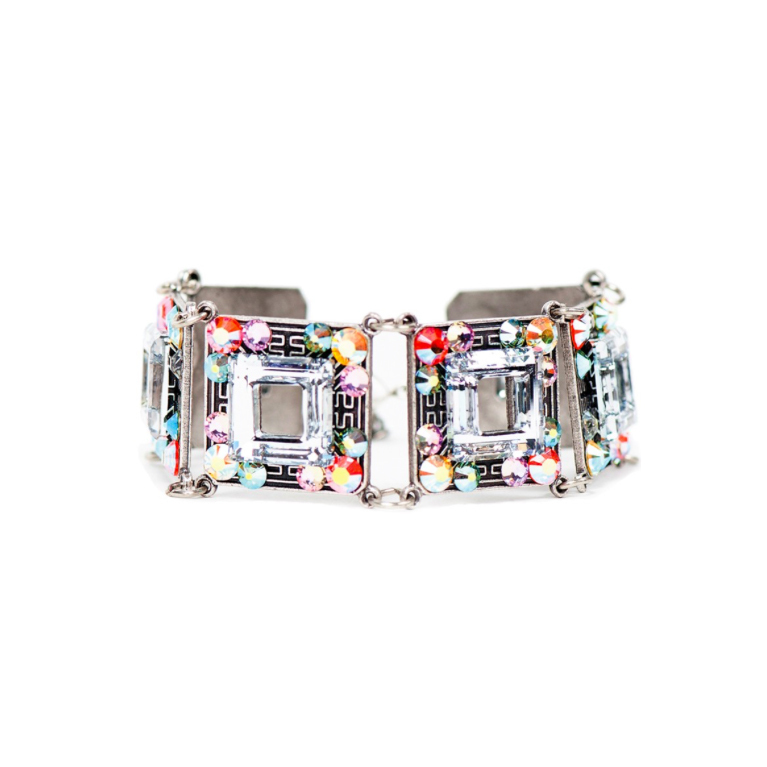 If you are looking for a great statement bracelet that will look great with white, pink, orange, light green and or even aqua, due to the AB coating of the crystals, this is your bracelet! The bracelet measures 7.5” in length and has a 2” extension chain.